Holy cow, I finally figured out how to make a shrimp dish properly like the higher end Chinese restaurants! The taste of this dish was so darn good I am still salivating thinking about it… Apparently a little preparation ahead (marination) is the key for plump and unfishy shrimp. Shell and devein shrimp. Rinse and pat dry with a paper towel. Combine marinade ingredients in a medium bowl. Add shrimp; mix well. Let stand 30 minutes. Pat dry with a paper towel. Combine ingredients for seasoning sauce in a small bowl; mix well. Heat oil in a wok 30 seconds over high heat. Stir fry garlic until golden, 30 seconds. Add shrimp. Stir fry about 30 seconds until shrimp are pink. Remove from wok with a slotted spoon, draining well over wok. 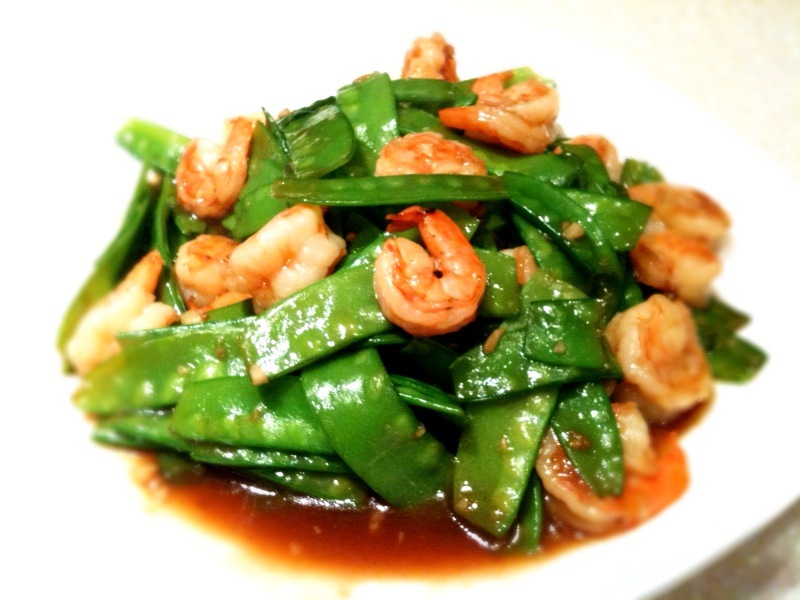 Add salt and snow peas to oil in wok. Stir fry over high heat 30 seconds. Add seasoning sauce. Stir fry until sauce thickens slightly. Add cook shrimp. 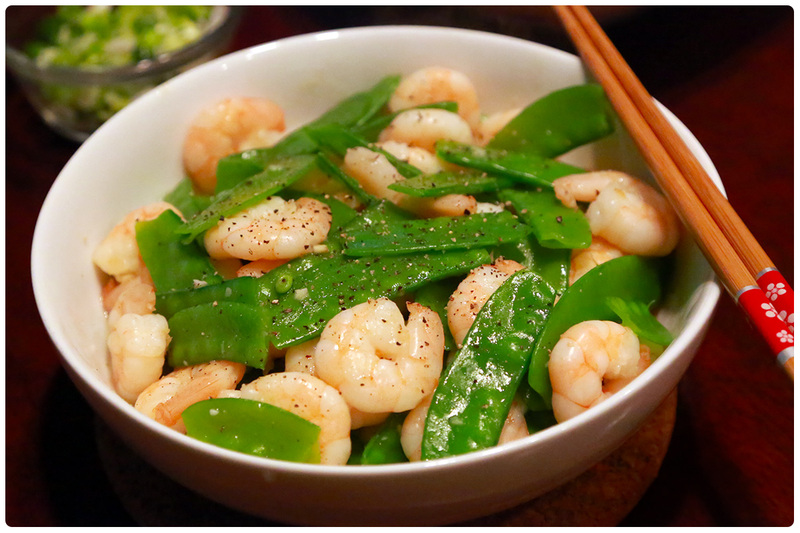 Stir fry to coat shrimp with sauce. Serve hot. Makes 4 servings. For me, the simple marination for the shrimp was what made the dish so yummy! So glad you enjoyed it also!